Have you experienced uncomfortable bloating after enjoying a hearty meal? If yes, then read on. It may be because of gas in the digestive tract that gives you a hard time. Gas tends to enter your digestive tract when you swallow air or certain foods and when bacteria in your large intestine break down certain undigested foods. Gas is one of the most common problems that are prevalent in Indian households, considering we indulge in a lot of heavy and oily food. However, the best part is, we have some wonder spices that can bring relief to gas problem immediately. 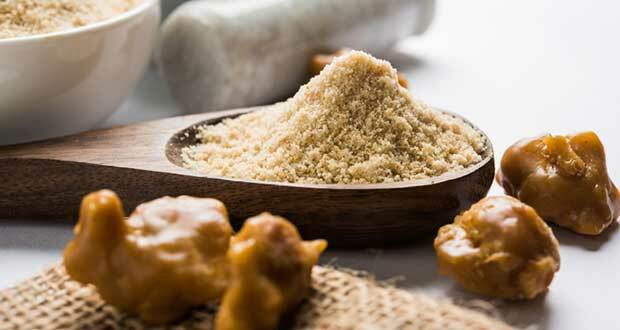 Hing or asafoetida tops the list. Hing, which is used to enhance the taste of various delicacies, has long been known for its healing properties. It is said to bring relief to most tummy troubles instantly. Most health experts suggest adding hing to foods that are tough to digest. Let’s look at how hing helps in managing stomach problems and how you can use it in your cooking. Asafoetida, which is native to Afghanistan and Iran, is also referred to as the ‘food of the gods’, giant fennel, stinking gum and yang. Raw hing has a strong odour and is bitter in taste; when added to delicacies, it adds a certain flavour that is loved by many. The components present in hing have anti-bacterial, anti-spasmodic, laxative, anti-flatulent, anti-inflammatory and antiseptic properties that help deal with problems like irritable bowel syndrome (IBS), flatulence and an upset stomach. Many people like adding it in foods like beans and pulses that are generally tough to digest. If you experience flatulence frequently, it is best to avoid certain foods or add a dash of hing while cooking certain foods that commonly cause gas, some of which may include milk and dairy products, starchy foods like pasta and potatoes and legumes like kidney beans, chickpeas, soybeans and nuts. Using hing on a daily basis is said to not only bring some relief, but will also eventually help strengthen your digestive system. Another useful way to use hing is to mix some of it in a glassful of water and add a dash of black salt to it to enhance its taste. Drink the water whenever you feel uncomfortable. Black salt too is said to reduce stomach problems. Ginger, which is another great remedy for flatulence, when mixed with hing can do wonders on your stomach. Take some ginger powder, rock salt and asafoetida and mix them well in a cup of warm water. It will immediately help you get some relief. Alternatively, you could add some hing in your ginger tea. Take a pinch of hing and mix it with a few drops of warm mustard oil and massage it on the navel. It is said to provide relief instantly. It’s a good remedy for someone who doesn’t like the taste of hing. Bring hing or asafoetida to your rescue and ensure a happy tummy!